II. A "THEORY" OF THE PUBLIC DOMAIN? In his Pulitzer Prize winning book, Gödel, Escher, Bach: An Eternal Golden Braid, Douglas Hofstadter produces a list of nonprime numbers, and contemplates whether the "holes"--the prime numbers--have a "form." In the field of copyright, we might ask a similar question about the status of "the public domain." Is the public domain simply whatever is left over after various tests of legal protection have been applied? Is it the mere "background," the "negative" of whatever may be protected? Or is there something about the public domain, some compelling public policy or legal principle, that gives it a life of its own, that would tend to attribute positive aspects to it, that would make it something of the form instead of just the background? Several authors have suggested a "theory of the [p. 138] public domain," [FN2] even though they have been unable to articulate exactly what its parameters might be. As opposed to a theory of the public domain, one could also conclude, as in section II of this article, that there is no such animal: the public domain is simply whatever remains after all methods of protection are taken into account. Section III of this article identifies several distinct categories of works or aspects of works that might be considered in the public domain, and concludes that, if anything, the current trend in copyright law has been to increase the protection of works, and concomitantly to decrease the scope and importance of the public domain. Section IV relates public domain analysis to several other basic principles of copyright law. [p. 140] I fundamentally disagree with both propositions. To begin with the concept of "originality," I agree with Prof. Litman that the process or definition of authorship is "equivocal," or difficult to pin down in some cases, but it is hardly a fiction. It may be true that any work of authorship in fact draws upon dozens or hundreds of other works, and that any work is necessarily a recombination or transformation of what has gone before. Yet, the whole point is that copyright can only be claimed in those elements of the work, small as they may be, that the author has contributed. [FN18] There is a fallacy in jumping from the observation that no work is totally original to the conclusion that no work is at all original, or that we can't find some originality even in modest works. [p. 143] Patterson and Lindberg do not propose a "theory" of the public domain, but argue for a cautious interpretation of the scope of copyright law based upon their reading of history and policy. Given their skepticism of copyright fictions or fallacies, I trust that they do not intend to elevate the public domain so as to be a theoretical framework that it has not historically been. To be sure, there are plenty of limitations upon the scope of copyright protection, as well there should be. Many of these limitations, however, [p. 144] were created in response to major copyright expansions, and are therefore ultimately part of copyright's expanding scope. For example, the fair use doctrine was hardly needed in 1790. At that time, the only exclusive rights of copyright were the rights to print, reprint, publish, or vend the work. There was no need to set forth what was "fair use," because any use other than printing, reprinting, publishing, or vending was "fair." Only as copyright law expanded to include other "uses" within the exclusive rights of copyright [FN30] did we need a limiting doctrine, which came to be known as the fair use doctrine. The existence of the limitation proves the extent of the expansion! [FN31] Of course, Patterson and Lindberg recognize, even emphasize, the above history, but somehow conclude that it proves only the limitations, without taking into account the overall expansive trend. They describe the limitations as proving the essence of copyright, and the expansions as being based upon historical mistakes and misunderstandings of legal fictions. A reasonable person could just as easily reverse the characterizations. In similar vein, most of the compulsory licenses in the current statute were passed when copyright was expanded to new areas. For example, the original phonorecord compulsory license [FN32] was adopted to allow copyright protection against mechanical reproduction of records when the Supreme Court had earlier held that such mechanical reproduction did not constitute copying; [FN33] the jukebox compulsory license, [FN34] recently retired, [FN35] was a political compromise to allow the expansion of rights to include the playing of music in jukeboxes, when the prior law had been interpreted as not extending so far. [FN36] And the cable compulsory license [FN37] was enacted to allow some compensation for cable retransmissions when the Supreme [p. 145] Court had earlier held such transmissions not covered by copyright. [FN38] Thus, the compulsory license is not historically a method of limiting copyrights so much as a compromise method of expanding rights cautiously into new areas. Even if some of the major developments in copyright law are based upon legal fictions, that does not undermine their very real effect. Legal fictions are one of the great inventions of the common law [FN42] that allows [p. 146] the law to develop and grow. To cite an example, copyright law in the 1960's and 1970's was expanded, mainly without statutory change, to include computer programs as protectable under the copyright law. Critics might--and did--argue that such an expansion of copyright law represented a "fallacy" in the understanding of copyright basics, and that the extension was achieved only by a legal fiction about the nature of copyrighted works. [FN43] Nevertheless, the leap was made, and within twenty years it has become indisputable that the copyright law, whatever its original purpose, now includes the protection of computer programs. The expansion did not represent a blind or unknowing application of a legal fallacy, since there were those in the debate who were lucidly making the argument at every stage that computer programs were not and should not be protected under the existing copyright law. [FN44] If the basic principles of copyright law are inconsistent with the protection of computer programs, then the basic principles of copyright law have been changed, because computer programs are indeed protected. [FN45] The fiction, if one there was, has become the reality, by choice and not by happenstance. Another entry in the public domain club is Prof. Wendy Gordon. In a recent article, [FN47] she tries to root modern copyright law in John Locke's theory of natural law, including limitations of that theory that would cut back on certain rights of intellectual property owners. In particular, she aligns the public domain with Locke's "intangible common" that recognizes "significant property rights of the public." [FN48] She argues that "no natural right to property could exist where a laborer's claims would conflict with the public's claim in the common." [FN49] More particularly, she applies Locke's "proviso," that individual property rights are conditioned upon there being "enough and as good left in common for others," to the public domain, arguing that an intellectual property owner's rights should not be interpreted to allow any diminution in the existing "commons," the public domain. Second, even if a Lockean model is applied to copyright law, it is not at all clear that it dictates any greater protection of the "public domain" than do other already clearly established doctrines. Prof. Gordon concedes "[a]t the outset" that "the creation of virtually all intellectual products seems to meet Locke's test, and the proviso might appear to impose no constraints on intellectual property formation whatsoever." [FN53] That is, since copyright protects only original works of authorship--works that were not already in the public domain--then the public domain is ipso facto not diminished by protecting new works. [FN54] Although she concludes that "Originality . . . is not sufficient to guarantee that the proviso will be satisfied," [FN55] her argument is based upon several examples that even she admits "may seem far- fetched." [FN56] She expresses concern for an "addicted public," for whom the existing public domain is effectively devalued because they become accustomed to the better product that was not previously available. [FN57] As examples, she cites the case of an early mathematician who is "worse off" once Arabic numerals are introduced, because it becomes virtually impossible to make mathematical contributions using the older Roman numerals. [FN58] (But wouldn't the Arabic numeral system clearly be an "idea" beyond the scope of copyright protection?) Or she worries about the politician who gets the public to rely upon his promises and then tries to use copyright law to forbid quotation of his speeches to rebut him. [FN59] (But wouldn't this clearly be beyond the protection of copyright, both because it would be an attempt to monopolize an idea, and because fair use would clearly protect any interests of the public in political discourse?) She argues that there are "some ideas, some works of art," that "become 'part of me' in such a way that if I cannot use them, I feel I am cut off from part of myself." [FN60] Prof. Gordon's concern, to the extent she refers to ideas, is clearly met by the idea- expression [p. 149] dichotomy. Or, to the extent she goes beyond the ideas, then she seems to be making an incredible suggestion that one should be allowed to take works if one must do so in order not to be "cut off from part of" oneself. I would prefer not to base a theory of copyright law upon such extreme examples. Finally, Prof. Gordon argues that "when the public's claims conflict with a laborer's, the public's claims should prevail." [FN61] Of course, in most cases--outside the "far-fetched" examples she cites--the rights of the individual will not conflict with the rights of the public. [FN62] And even if rights in the public domain would somehow trump individual rights of creators, we would have to look at what is included in the public domain. Prof. Gordon's characterization of the public domain includes those creations whose period of protection has expired, works that have been "abandoned," works for which no protection existed ab initio, ideas, and federal works preempted from state protection. [FN63] Her argument is that individual claims of copyright might have to be limited in light of her public domain concerns, but she says little that would expand the public domain itself beyond the traditional categories. After reviewing the various proposed arguments supporting a general theory of the public domain, by Patterson and Lindberg or by other authors, it would appear that there simply is no such general theory. [FN64] Instead, [p. 150] there are several discrete contexts in which arguments about the public domain are encountered, [FN65] each context raising different considerations that may have little or nothing to do with each other, and that cumulatively constitute what remains after one examines all possible sources of legal protection for works of authorship. [FN66] What is gained by reifying the negative, and imagining a "theory" of the public domain? If one wants to encourage a presumption against new forms or areas of protection, then one can do so without having to invoke a magical "public domain." There are dozens of battlegrounds between those who want to expand intellectual property protection and those who want to limit it or narrow it in any given context. [FN67] The arguments in each context should be kept separate, since they raise different policy issues. Authors who have written about the subject have tended to focus upon different categories of works that fall within the public domain. [FN70] Any attempt at a general theory of the public domain is undermined by the fact that these different categories are or should be treated by different legal theories, or by different legal standards, or are justified by different public policies. In any event, the unmistakable trend for each of these categories within the public domain has been to expand the scope of copyright, and to diminish the concomitant scope of the public domain. Even if there should be a theory of the public domain, it is obviously a theory of decreasing, not increasing, importance. Works historically in the public domain might be divided into the following categories: (1) works for which the term of copyright has expired; (2) works that are otherwise eligible for protection, but in which copyright has been forfeited because of a failure, either by design or by mistake, to comply with the copyright formalities in effect at the time; and (3) works that are non-copyrightable because they are categorically excluded from federal copyright protection. In addition, some authors have used the term "public domain" to refer to (4) aspects of works (whether or not the works are copyrighted) that are not protected by federal copyright. In these or other contexts, analysis of the "public domain" aspect of a work is often simply a substitute for what is essentially (5) an analysis of the preemptive scope of federal copyright law, or (6) an analysis of the retroactive effect of copyright statutes on works that have been previously published without copyright protection. Let us consider each of the categories separately. The problem with finding a "theory" of the public domain in this context is that it may provide a basis for some limitation upon the duration of copyright, but it has very little to say about what that duration should be. Opponents of extending the duration of copyright protection have usually invoked the limited times provision, or the presumed virtues of a large public domain, to argue against each extension; [FN74] but, since no specific duration is called for in the Constitution, there is no real disagreement that copyrighted works should eventually go into the public domain, and that the value of old works in the public domain warrants the limitation of the term of protection. The following subsection will briefly review the elimination of the requirements for obtaining and retaining federal copyright protection. A subsection will then be devoted to the user's perspective on the elimination of copyright formalities, including several related questions: how can copyright be abandoned now that there are no formalities? And what is the proper theoretical framework by which to measure the effects of such abandonment? Consideration of the issues will focus upon "public domain software" and so- called "shareware," concepts that have been particularly developed within the context of computer programs. The 1976 Act did not, however, eliminate the requirement that copyright notice be placed upon substantially all published copies of a work, [FN83] although the Act did provide three savings clauses that protected against some of the most notorious cases of forfeiture. [FN84] In 1988, in order to allow [p. 156] the United States to meet the standards of and join the Berne Convention, [FN85] Congress finally eliminated even the notice requirement. Together with the repeal of the manufacturing clause from the copyright act in 1986, [FN89] the traditional formalities that the United States has [p. 157] imposed as a condition of copyright have thus been effectively eliminated. [FN90] A large body of works that used to go into the public domain as a result of the copyright proprietor's intentional or inadvertent failure to act will simply no longer have that effect. The sense of fairness to the copyright proprietor has apparently been recognized as outweighing any interest the public, or individuals, may have in increasing the public domain in this context. With the elimination of the notice requirement under the Berne Convention Implementation Act, the uncertainty of copyright status has been removed, except this time in favor of the copyright owner and to the detriment of the copyright user. After 1989, don't bother asking if copyright exists in a work: it does. Don't bother to claim the status of an innocent infringer: there are no innocent infringers. [FN94] With or without notice, the work is fully protected by copyright. Yet, without notice, how is the user supposed to discover the name of the copyright owner, in order to go about obtaining permission? Owners might make things easy by identifying themselves in the copyrighted work, and are of course encouraged to do so by the provisions making notice permissive. [FN95] But if the owner doesn't use notice or any other identifying device, the user may be pretty much helpless in attempting to obtain permission. There are no mechanisms, like those in prior section 405(b), to protect the frustrated user who decides to take the chance and make an infringing use of a copyrighted work. To the extent that copyright notice was usually omitted by mistake rather than design, then of course it seems fair to protect the copyright owner against inadvertent forfeiture of copyright. [FN97] In at least some cases, however, copyright owners actually intended to omit notice, and thereby [p. 159] forever waive any claim to copyright. The primary example is in the development of a tradition, among some computer software programmers, of donating their programs to the public domain. This industry-created development was described in computer bulletin boards and periodicals, but received hardly any official sanction in the courts, or any real analysis by scholars. Of course, not much analysis was really needed, so long as omission of notice thrust a work into the public domain. Some cases have suggested that there is a distinction between the "forfeiture" of copyright, through failure to meet statutory formalities, and "abandonment" of copyright by way of voluntary relinquishment of a known right. [FN104] The test stated in the cases is that abandonment of copyright requires an intent to abandon and some overt act. The overt act could previously be found in the failure to affix notice, but that act resulted in forfeiture notwithstanding the intent of the copyright owner. Such omission of notice since 1989 clearly cannot be the basis for the finding of intent. If a copyright owner additionally states that the work is dedicated to the public domain, should such a statement alone be sufficient to accomplish the objective? In arguing that a voluntary dedication to the public domain should be enforced, one might analogize copyright law to personal property law generally: an owner is free to dispose of personal property as she pleases, including by way of abandonment. Therefore, one ought to be able to dispose of a copyright in similar circumstances. In the context of personal property law, abandonment requires an intention to abandon together [p. 161] with an act or omission by which such intention is carried into effect. Accordingly, at the very least, copyright should not be abandoned except under similar circumstances. However, such an analogy overlooks the special place that copyright law has held among all forms of property law. Clearly, the American trend in the recent statutes has been ever greater protection of authors against forfeiture of copyright, and almost a paternalistic attitude to protect authors against even voluntary acts that might transfer the copyright to another. [FN105] Such unique sensitivity to the rights of authors, and the protection against transfers, even fairly compensated, should caution against too liberal an interpretation of abandonment. Section 405 protected innocent infringers in the case of pre-Berne works published without the requisite notice, yet the owner did not have [p. 162] to forfeit copyright against the rest of the world. Perhaps an abandonment theory should incorporate the same protections: to the extent any person in fact relies upon a dedication to the public, or the terms of a shareware statement or registration, that person should be protected in any infringement action. However, the law need not protect other members of the public who have not relied upon or been misled by the abandonment. In fact, the same result might be achieved by arguing that there should simply be no general recognition of abandonment in the case of copyright. Theories of reliance or estoppel, apart from a general theory of abandonment, could be invoked in favor of those persons who in fact rely upon an apparent abandonment, without preventing the author from reclaiming any rights as against parties who learn of the claim of copyright prior to undertaking infringing activities. In any event, the elimination of formalities under the copyright law has protected against the unintentional forfeiture of copyright in works, but raised questions about how works should get into the public domain in the unusual cases where that result is intended. I have suggested a cautious and protective approach to the abandonment of such rights, consistent with the new regime that has eliminated formalities; but the law in this newly ambiguous area will probably have to be developed on a case-by-case basis. Nevertheless, the range of works that go into the public domain because of categorical exclusion from the federal act has been diminishing throughout the entire two hundred year history of copyright in this country. Only maps, charts, and books were protected by the 1790 copyright act. [FN115] Through the years, the list has been expanded to include historical and other prints, [FN116] musical compositions, [FN117] cuts and engravings, [FN118] dramatic compositions, [FN119] photographs, [FN120] pamphlets, [FN121] paintings and drawings and statuary, [FN122] lectures, [FN123] motion pictures, [FN124] sound recordings, [FN125] pantomimes and choreographic works, [FN126] computer programs, [FN127] and architectural [p. 164] works. [FN128] Presumably, many of these works published prior to the date on which they were included within the federal statute went into the public domain. With each extension of the federal statute into new subject matter, there has been a diminution in works that are treated as part of the public domain, to the point where there are few subject matter categories that are automatically considered as part of the public domain. [FN129] Although there was dissension in adding some of these works to the protected list, for the most part no "theory of the public domain" seems to have militated against the constant expansion. To the delight of some copyright scholars and the dismay of others, various developing theories of protection have begun encroaching upon works, or aspects of works, that might previously have been thought to be in the public domain. This development has taken place not only in the expansion of federal copyright law, [FN131] but also in the expansion of other theories of protection under state law. Examples include the developing [p. 165] right of publicity and recognition of character rights, an expansion of the law of unfair competition and trademark, and expanded use of state contract theory in contexts that touch upon intellectual property rights. Yet, caution in creating new causes of action has a long and respected history in the law, and can be justified by theories of precedent or judicial conservatism; such caution does not require that we build a fortress of the public domain in other contexts, particularly for determining the scope of rights that clearly fall within copyright or other protected spheres. Some authors who are concerned about the public domain also seem to be describing aspects of works, otherwise copyrightable, to which the copyright owner's monopoly does not or should not extend. For example, it is sometimes said that, while expression is copyrightable, "ideas" are "in the public domain." [FN133] Similarly, Krasilovsky identifies what he calls "limited areas of public domain," including "special uses exempted from copyright such as juke box performance of music, church, school and other non-profit performances of music, and mechanical reproduction rights for phonograph records of songs originally recorded before 1909," and in some countries "a special limited public domain in the right to translate." [FN134] These "limited" areas of public domain, however, are clearly governed by the federal statute, and not by any independent status as part of the public domain. [p. 167] Much of the recent "public domain" discussion is actually a substitute for preemption analysis, which is concerned primarily with preventing the states from adding theories of protection in areas that have been left unprotected by the federal law. [FN137] One need not adopt the extreme position of the student scholar to realize that, however one comes out, the issue in this context is basically one of preemption, and can be adequately analyzed in terms of preemption analysis. The advantage of the existing rich literature on preemption [FN138] is that it properly focuses the inquiry upon the relationship between federal and state regulation, and does not need a "theory of the public domain," which may only serve to confuse the issue. (1) subject matter that does not come within the subject matter of copyright as specified by sections 102 and 103, including works of authorship not fixed in any tangible medium of expression; or . . . The above provisions of section 301 make clear that the copyright statute preempts state law only to the extent that state law covers rights and works that are under the federal statute. If a work is not within the scope of federal protection, then there is no federal copyright policy that thrusts the work into the public domain, and beyond the scope of any state protection. If such a consequence is to follow, it must be because Congress, in passing the copyright statute, has "occupied the field" to such an extent that any state protection of uncopyrighted works would be inconsistent with the federal scheme of protection. As demonstrated by section 301, occupation of the field is specifically not Congress' intent. The analysis of preemption, and the effect of noninclusion in the federal act, is necessarily more complicated than the straightforward language of the statute might imply, and obviously will depend upon the particular category of work in question. [FN144] For example, United States Government works are omitted from federal copyright protection not by implication, but by specific statutory provision. Thus, it might be logical to assume that for such a category of works, Congress has indeed thrust all such United States Governmental works into the public domain, and no state law could provide to the contrary. The question that must be raised in each case is, why is the category omitted from federal protection? If by design (as in the case of governmental works), then a Congressional intention to force the work into the public domain may be logical; if by mere omission sub silentio (as in the case of sound recordings prior to 1972), then nonprotection under the federal act doesn't necessarily place the work into the public domain. If the category of work is one over which Congress doesn't even have authority, then how does Congress get the authority to define the public domain status in the first place? Preemption analysis focuses upon the degree to which copyright or other federal law prevents the states from passing similar laws. A related but separate issue is the degree to which federal copyright law might interfere with or limit other federal protection. The analysis requires a construction of two or more federal statutes, and a possible reconciliation if there are apparent inconsistencies in coverage. It is of course possible that Congress merely decided in each case that, as a matter of policy, it did not want to upset existing expectations based upon existing laws. [FN150] But in using the phrase "public domain" to describe previously unprotected works, Congress may have implicitly suggested [p. 172] that it does not even have the power to resurrect works that it has previously left unprotected. Indeed, it has been argued by some authors that Congress does not have power to grant copyright protection to works that it has previously left unprotected. [FN151] And yet, this is not an obvious proposition. If federal copyright is entirely a creature of statute, shouldn't Congress have power to give or to take away protection as it sees fit? It might be argued that the prohibition on retroactive copyright legislation can be found in the copyright clause's provision that Congress pass copyright laws "to promote the progress of science and useful arts." [FN152] Since the clause apparently anticipated the use of copyright to induce the creation of new works, any copyright law that resurrected the protection of works already created would be outside such constitutional purpose. Yet, there are many cases in which rights in existing works have been expanded, even though they can hardly be imagined to induce the creation of works that have already been created. When Congress extended the term of existing copyrights in 1976 (or in previous interim statutes), [FN153] expanded the scope of copyright to include the right of public display (presumably applying to existing works as well) [FN154] or of public performance of musical works whether or not for profit, [FN155] or added the cable compulsory [p. 173] license, [FN156] or added certain moral rights for visual artists in 1990, [FN157] all of which affected existing as well as future works, it expanded rights in a way that can hardly be said to "induce" the creation of new works. It is simply incorrect to conclude that every aspect of a new copyright law can be justified if and only if it "promotes" the creation of new works. It is enough that the copyright laws generally promote such progress. [p. 175] In short, it simply is not clear whether Congress is prohibited from reviving works that previously entered the public domain, and there are at least some convincing suggestions that it has power to revive works not previously protected. In any event, issues of retroactivity should not be determined by an ill-defined concept of the "public domain," but can be analyzed by reference to a richer literature dealing with retroactivity of legislation. [FN163] The policies for and against retroactivity, like the policies for and against preemption, require a careful consideration of many factors, and should not be decided by a presumed principle of law that would lump all "public domain" works as forever and irretrievably beyond the scope of Congressional protection. It is beyond the scope of this inquiry to review the entire history of the copyright law debate. However, a few brief concluding observations might be in order. American copyright law has suffered for two hundred years from the absence of a clearly articulated theoretical basis. [FN181] Some might see this as some sort of oversight or conspiracy. I don't think so. I think that Congress and the courts have thereby maintained flexibility in the development of the law. Although others may of course disagree, I think I detect a shift from a more regulatory framework to a more natural rights framework. [FN184] Congress has in fact been aggressive in expanding copyright law throughout the past two hundred years. While the early English or American laws might have been described as a minimal, maybe even begrudging, recognition of statutory rights, the early justifications could hardly explain the broad scope of copyright today. Current law protects sound recordings and computer programs, grants performance rights and rights to make derivative works, and even incorporates some modest moral rights protection. The formalities that were for so long at the heart of American copyright law have been virtually abandoned. American law, since the Berne Convention Implementation Act, is as protective as almost any of the European laws that is said to have a moral rights basis. [FN185] It should [p. 182] therefore now be possible to ascribe to American copyright law the broad theoretical basis that until recent years may have been premature. The major pressure upon the theoretical underpinnings of copyright today comes from the new technologies--audio and video tape recorders, photocopying machines, computers, and the digitization of information. In this context, there is a certain appeal in claiming that the intellectual property system that was developed for the last technological revolution, the printing press, simply does not work: the public interest requires free public access. And yet, it is precisely in these challenging times that we must resist throwing everything open to the "public domain." It may be that some of the devices don't neatly fit, that some efforts at compulsory or blanket licensing or other devices [FN186] are overbroad, just as many of the protective aspects of copyright are underinclusive. But we need to keep them in place until a better system can be found. The fact of the matter is that the public interest is not necessarily served by the public domain. In the early debates about American copyright law, James Madison observed that "[t]he public good fully coincides . . . with the claims of individuals" in copyright law. [FN187] Copyright is not an absolute right, but a limited one: it has within it the limiting doctrines that protect the public interest. It seems a little late in the game to be developing a "theory of the public domain" to put the brakes upon the expansion of intellectual property rights. Of course, common sense should caution against expanding rights too quickly or too far, in this as in any other area of the law. But copyright critics have plenty of theoretical and practical tools for curbing the expansion of intellectual property rights without an ill-defined "theory of the public domain." [FNa]. Professor of Law, New York Law School. The author thanks Profs. Ralph Brown and Michael Sinclair for their helpful suggestions on this article. [FN1]. Douglas R. Hofstadter, Gödel, Escher, Bach: An Eternal Golden Braid 66-67 (1979) (Vintage Books ed. 1980). The nonprimes are numbers evenly divisible by other numbers, a fact that can be deduced by successive divisions. There is apparently no direct method of generating prime numbers in order, except by eliminating the nonprimes. Actually, the reference to Hofstadter is more complicated because Hofstadter lists the nonprimes as "theorems" in a mathematical system he defines, governed by "typographical" rules. Hofstadter draws a parallel between the relationship of nontheorems to theorems (primes to nonprimes), and the relationship of figure to ground (positive space and negative space) in drawings (such as Escher's) and in music (such as Bach's). Id. at 67-74. [FN2]. See, e.g., Jessica Litman, The Public Domain, 39 Emory L.J. 965 (1990) [hereinafter "Litman"]; David Lange, Recognizing the Public Domain, 44 Law & Contemporary Probs. no. 4, 147 (1981) [hereinafter "Lange"]. These and other authorities will be analyzed in part II of this article. [FN3]. See Lange, supra note 2, 150-53 n.20. [FN5]. In addition to the references described below, I refer readers to Prof. Lange's excellent bibliography in his note 20 for other articles that are "low protectionist," and therefore presumably "valuable" in developing a theory of the public domain. [FN6]. Indeed, Prof. Lange admits that copyright law itself has evolved a proper balance between protection and nonprotection. "In short, copyright seems to be in a state of reasonable equilibrium." Lange, supra note 2, at 157. His major criticism is with the creation of new theories of protection that go beyond copyright, as particularly evidenced by three cases that he criticizes at length, id. at 158-71. Cf. part III D, infra. [FN7]. Lange, supra note 2, at 152 n.20, citing Benjamin Kaplan, An Unhurried View of Copyright (1966). For example, Justice (then Prof.) Kaplan states that he is "more worried about excessive than insufficient protection," id. at 78, and criticizes the bill that was to become the 1976 Act because of its "high-protectionist tendencies," id. at 114. [FN10]. Id. at 24, 117. [FN11]. For example, Justice Kaplan discusses copyright formalities by implicitly criticizing how the "[d]ebate on formalities has a way of getting caught up in the high-flown quarrel whether copyright is a 'natural' or an 'artificial' right." Id. at 80. [FN12]. Lange, supra note 2, at 151 n.20, cites Ralph S. Brown, Jr., Unification: A Cheerful Requiem for Common Law Copyright, 24 U.C.L.A. L.Rev. 1070 (1977); Brown, Publication and Preemption in Copyright Law: Elegiac Reflections on Goldstein v. California, 22 U.C.L.A. L.Rev. 1022 (1975); and Brown, Product Simulation: A Right or a Wrong?, 64 Colum.L.Rev. 1216 (1964). One should now add Brown, Eligibility for Copyright Protection: A Search for Principled Standards, 70 Minn.L.Rev. 579 (1985) [hereinafter "Eligibility"]. Prof. Brown, in a letter to the author, describes himself as "a skeptical low-protectionist, like Kaplan," and states that he has no objection to my "turning around" his quote in text accompanying note 69, infra. [FN13]. Litman, supra note 2. [FN17]. Id. at 968, 1023. [FN18]. Litman clearly recognizes the "minimalist" nature of creativity required, citing the classic cases, id. at 974-76, 1000. See, e.g., Bleistein v. Donaldson Lithographing Co., 188 U.S. 239 (1903). The recent Supreme Court case of Feist Pub., Inc. v. Rural Telephone Service Co., 499 U.S. 340, 111 S.Ct. 1282, 113 L.E.2d 358 (1991) illustrates perhaps the best example of the type of work that is disqualified for lack of originality--in that case, the alphabetical listing of customers and telephone numbers in the telephone directory white pages. [FN19]. It would be next to impossible to prove what is in essence a negative--that the plaintiff's work does not copy any existing work. Would a plaintiff have to introduce all other works into evidence in order to prove the point? That originality, in most contexts, means little more than that the work is not itself a copy, has been well established. Bleistein v. Donaldson Lith'g Co., 188 U.S. 239, 250 (1903); Alfred Bell & Co. v. Catalda Fine Arts, Inc., 191 F.2d 99, 103 (2d Cir.1951); Hoague-Sprague Corp. v. Frank C. Meyer Co., 31 F.2d 583, 586 (E.D.N.Y. 1929). A different system exists for patents: patent applicants are required to demonstrate the novelty of their creations, and the patent office does in fact conduct a search of the prior art to determine patentability. Even the patent process, however, may not uncover relevant prior art, and the issue of creativity is ultimately not resolved unless or until the patent is challenged in court. [FN20]. Litman, supra note 2, at 1002-04. Cf. 17 U.S.C. § 410(c), which provides that registration of a copyrighted work "shall constitute prima facie evidence of the validity of the copyright and of the facts stated in the certificate." This prima facie validity would include the prima facie proof of authorship. See Fred Fisher, Inc. v. Dillingham, 298 Fed. 145, 148 (S.D.N.Y. 1924) (interpreting 1909 Act). [FN21]. In other contexts, concern has been expressed lest a presumption of copyright validity have a "chilling effect" upon legitimate users of copyrighted works. See, e.g., some of the recent computer cases, such as Sega Ents. Ltd. v. Accolade, Inc., 977 F.2d 1510 (9th Cir.1992) (applying a fair use analysis); NEC Corp. v. Intel Corp., 10 U.S.P.Q.2d 1177,  Copyright L.Dec. (CCH) ¶26,379, 1989 WL 67434 (N.D.Cal.1989) (applying a merger analysis). Such concerns are appealing when they are raised in favor of a user who is making a plausibly legitimate use of a copyrighted work, and who should not be overly discouraged from doing so. However, in the case we are discussing, a user is otherwise infringing a copyrighted work, and is attempting to escape liability by arguing that the author's work is not original. This is hardly an appealing argument, unless the user was relying on the fact of nonoriginality when undertaking the infringing activity, in which event the user should be put to the burden of coming forward with the basis for belief in that fact. Because we have a public domain, we can permit authors to avoid the harsh light of a genuine search for provenance, and thus maintain the illusion that their works are indeed their own creations. We can tolerate the grant of overbroad and overlapping deeds through the expedient assumption that each author took her raw material from the commons, rather than from the property named in prior deeds. The public domain rescues us from this dilemma. It permits us to continue to exalt originality without acknowledging that our claims to take originality seriously are mostly pretense. It furnishes a crucial device to an otherwise unworkable system by reserving the raw material of authorship to the commons, thus leaving that raw material available for other authors to use. The public domain thus permits the law of copyright to avoid a confrontation with the poverty of some of the assumptions on which it is based. If terms like originality are amorphous and ill-defined, it is hardly more comforting because of a concept of public domain that, if anything, is more amorphous and negatively defined than originality. Unlike Prof. Litman, I have recently come to feel that the test of originality probably works better than other presumed basic tests of copyright. I have previously criticized the idea-expression dichotomy because it is an abstract test that does not involve the comparison of particular works, and because it purports to categorically foreclose works from copyright protection. The test for originality is a more concrete and precise undertaking, however, because it necessarily involves a comparison of particular works. See Edward Samuels, The Idea-Expression Dichotomy in Copyright Law, 56 Tenn.L.Rev. 321 (1989) [hereinafter "Idea-Expression Dichotomy"]. [FN23]. L. Ray Patterson & Stanley W. Lindberg, The Nature of Copyright: A Law of Users' Rights (1991) [hereinafter "Patterson & Lindberg"]. However, I see little evidence that such statements have worked their way into the case law, and they are certainly no more outrageous than some of the more inventive claims that have been made on behalf of users' groups. For example, there is little that can match the audacity of the efforts by those who had bought satellite dish antennae to prevent broadcasters from scrambling their signals because it would interfere with their "rights" to pirate such signals. See James Lardner, Fast Forward: Hollywood, The Japanese, and the Onslaught of the VCR 322 (1987) [hereinafter "Lardner"]. The fundamental reality is that users of computer programs and renters of videotapes and purchasers of audiotapes do in fact make infringing copies without compensating the copyright owners, and that users increasingly feel "there is nothing wrong" with such copying. These attitudes are exacerbated by the new reprographic, audio, video, and storage technologies which make the copying of copyrighted works so easy. See generally Office of Technology Assessment, Intellectual Property Rights in an Age of Electronics and Information (1986) [hereinafter "OTA Report"], ch. 4, Impact of Technology on Enforcement of Intellectual Property Rights, at 95-123. In this environment, perhaps the only effective weapon the copyright owners have against a perception that copying is acceptable is the in terrorem effect of their exaggerations. It should be noted, however, that exaggerations can backfire. Speaking of the defeat in getting Congress to pass a VCR royalty, Jack Valenti noted, "I suppose we lost the battle when those cartoons appeared about video police coming into your homes. The cartoonists killed us. We became objects of ridicule." Lardner, supra, at 303. [FN27]. Each of the quoted policies or principles is taken from a chapter heading in the book. [FN28]. Patterson and Lindberg of course recognize the expansion of rights in copyright and the shift from the nineteenth century "regulatory" principle to what has become the twentieth century "natural rights" principle. Patterson and Lindberg, supra note 23, at 56-106, 134-45. Yet, they seem to treat the expansions as based upon misinterpretations of earlier precedent, and the limitations as proving the limited nature of copyright. One might just as easily flip the perception, and conclude that the expansions prove the flexible and ultimately natural rights basis of copyright (despite early doubts), and the limitations are in error, or, as I suggest in the following text, necessary only because of the expansion of copyright into new territory. [FN29]. See part III, infra. [FN30]. These included the rights to make or distribute copies or derivative works, or to perform or display the work publicly. 17 U.S.C. § 106. [FN31]. The analysis is similar to that I have made for the idea-expression dichotomy. That principle, generally viewed as a limitation upon copyright, was not really necessary when the scope of copyright protection was thought to prevent only literal copying. As the scope of copyright expanded in the nineteenth and twentieth centuries to cover nonliteral takings as well, a limiting doctrine was needed, and that was the idea-expression dichotomy. "In this sense, an apparent limitation on the scope of copyright law has been used to accomplish an expansion of the subject matter of copyright." Idea-Expression Dichotomy, supra note 22, at 346. [FN32]. Copyright Act of 1909, 17 U.S.C. § 1(e), superseded by current 17 U.S.C. § 115. [FN33]. White-Smith Music Pub. Co. v. Apollo Co., 209 U.S. 1 (1908). [FN34]. 17 U.S.C. § 116. [FN35]. 17 U.S.C. § 116A (1988). [FN36]. Copyright Act of 1909, 17 U.S.C. § 1(e) (now superseded). [FN37]. 17 U.S.C. § 111. [FN38]. Fortnightly Corp. v. United Artists Television, Inc., 392 U.S. 390 (1968); CBS, Inc. v. Teleprompter Corp., 415 U.S. 394 (1974). The new compulsory licenses, for secondary satellite transmissions, 17 U.S.C. § 119, and for digital audio recording devices and media, 17 U.S.C. §§ 1003-07, are not in response to specific cases or statutes withholding copyright protection, but each does expand copyright protection to cover new technologies where there was otherwise at least some doubt about copyright liability. [FN39]. Patterson & Lindberg, supra note 23, at 7. They also argue that "[c]opyright may very well be the only law [judges] deal with that can be traced directly back to its origins in sixteenth-century England." Id. at 6. [FN40]. See notes 115-28 and accompanying text, infra. The right of public performance (for profit) and the right to control translations and other derivative works were first added in 1856 and 1909. Act of August 18, 1856, ch. 169, 11 Stat. 138; Act of March 4, 1909, 35 Stat., pt. 3, 1075. [FN41]. This is precisely how the authors manage to dismiss the tremendous change in copyright law that they observe. Patterson & Lindberg, supra note 23, at 134-45. [FN42]. In this context, I include within the common law the evolving judicial interpretation of statutes, such as the copyright act. While the copyright act is of course a statute, many of its most important principles owe their origin to, or are primarily within the scope of, judicial development. This is presumably because some of the key features of copyright--substantial similarity, originality, fair use--are abstract principles that can only gain their meaning from judicial interpretation over time. In theory, none of these rulings [finding computer programs protectable] is permitted under traditional copyright principles. This is not because the courts have misinterpreted copyright law, but because copyright law cannot be successfully applied to computer programs. . . . The "clear distinction" made in Baker v. Selden, "between the book, as such, and the art it is intended to illustrate," collapses in a computer program, because the program embodies both "the book" and "the art." One cannot arrive at a "clear distinction" between idea and expression in a computer program by using traditional copyright analyses. Id. at 81-83. An excellent response to the negative conclusions of the OTA report can be found in Jon A. Baumgarten & Christopher A. Meyer, Program Copyright and The Office of Technology Assessment, Computer Lawyer, vol. 4, no. 10, at 8 (October 1987), no. 11, at 1 (November 1987). [FN44]. See, e.g., note 43, supra; Dissent of Comm'r Hersey, Final Report of the National Comm'n on New Technological Uses of Copyrighted Works 69 (1978). 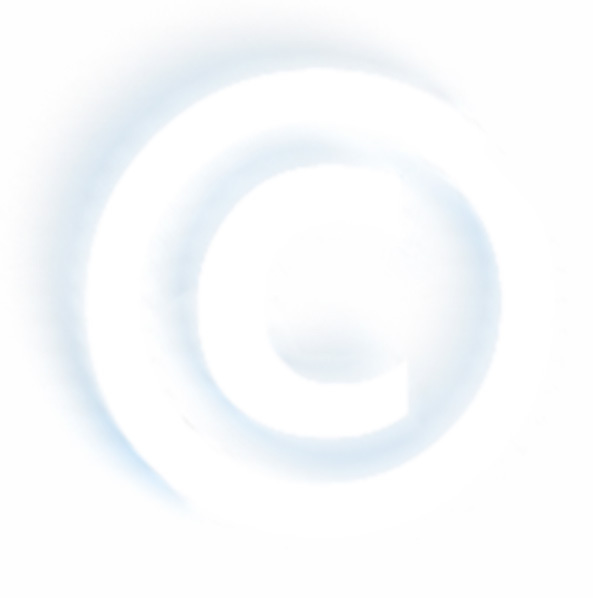 [T]he new statute makes a number of fundamental changes in the American copyright system, including some so profound that they may mark a shift in direction for the very philosophy of copyright itself. [FN46]. See, e.g., the 1980 amendments to the 1976 Copyright Act, which incorporated CONTU's suggestion that computer programs were included in the federal copyright law, described in H.R.Rep. No. 1307, 96th Cong., 2d Sess., pt. 1, at 23, 1980 U.S. Code Cong. & Admin. News 6480, 6482 (1980). [FN47]. Wendy J. Gordon, A Property Right in Self-Expression: Equality and Individualism in the Natural Law of Intellectual Property, 102 Yale L.J. 1533 (1993) [hereinafter "Gordon"]. [FN48]. Id. at 1539, 1559. To be justified under a Lockean notion of labor, the derivative work right would have to be quite narrow, giving an initial creator control over only these new works by others that significantly interfere with her own plans for the work. Yet current copyright law is not so limited . . . .
[FN52]. For example, Prof. Gordon herself admits that cost-benefit analysis might justify the extension of rights beyond the Lockean model, "at least to the extent that they do not infringe any of the public's nonfungible interests." Id. at 1608. For a comparison of different theoretical bases of copyright, see notes 174-80 and accompanying text, infra. [FN53]. Gordon, supra note 47, at 1566. [FN54]. In addition, Prof. Gordon concedes that the idea-expression dichotomy protects against a diminution in the public domain. Id. at 1569. [FN55]. Id. at 1608 n.406, 1566-70. [FN57]. Id. at 1567 ("addicted public"); 1570 ("devalued common"). [FN60]. Id. at 1569 (emphasis in the original). [FN62]. See text accompanying note 53, supra. [FN63]. Gordon, supra note 47, at 1559-60. [FN64] After identifying the nonprotected aspects of otherwise protectable works, even Prof. Litman concludes that "This hodgepodge of unprotectible matter was without overarching justification then, and it remains so today." Litman, supra note 2, at 993. See also id. at 998. Calling these excluded aspects part of the public domain does not alter the hodgepodge. Such a conclusion parallels conclusions I have reached in other contexts: that the idea-expression dichotomy, certainly more developed than any theory of the public domain, "simply does not work very well as a categorical test of copyrightability"; and that the preemption doctrine embodied in Goldstein v. California and in the federal copyright act should not be viewed as a unified theory for the "blunderbuss" preemption of state theories of protection. See Idea-Expression Dichotomy, supra note 22, at 462; Edward Samuels, Comment, Goldstein v. California: Breaking Up Federal Copyright Preemption, 74 Colum.L.Rev. 960 (1974), 24 ASCAP Copyr.L.Symp. 51 (1980) [hereinafter "Preemption"]. The parallel conclusions should not be interpreted to place me into a deconstructionist or critical legal studies camp. I try to deal with the principles of law as I find them, and occasionally find principles that I think make sense. In the idea-expression article, for example, I look favorably upon the doctrine of substantial similarity to resolve many of the problems that are sometimes unhelpfully viewed as idea-expression problems, and I even reluctantly conclude that the fair use doctrine, cautiously applied, can provide a common sense resolution of some of the problems. I also believe that the doctrine of originality legitimately serves to distinguish the protectable from the unprotectable, as suggested earlier in note 22, supra. [FN65]. These categories are analyzed in more detail in parts III and IV, infra. The concept of "the public domain" in the law of intellectual property is not one of vested public right. . . . It is only a convenient label for the absence of any legally recognized private proprietary right in a given intellectual creation. That absence of a private right is a legal vacuum which the law may fill at any time, by restoring an old, or creating a new, private right, without thereby working any legal injury to the public. John F. Whicher, The Creative Arts and the Judicial Process 202-03 (1965). See also M. William Krasilovsky, Observations on Public Domain, 14 Bull. Copyr. Soc'y 205 (1967) [hereinafter "Krasilovsky"] ("Public domain in the fields of literature, drama, music and art is the other side of the coin of copyright. It is best defined in negative terms. "); Litman, supra note 2, at 993. [FN67]. See part IV, infra. [FN68]. See part IV, infra. [FN69]. Paraphrasing Ralph S. Brown, Eligibility, supra note 12, at 590 (speaking of the "exaltation of authorship" approach to copyright law). [FN70]. Footnotes accompanying each subheading below identify the different emphases of some of the leading authors. [FN71]. The author who has perhaps best discussed this aspect of the public domain is William Krasilovsky. Krasilovsky claims that the majority of culturally valuable items in the public domain are "those for which the 'limited times' of copyright permitted by the Constitution have expired." Krasilovsky, supra note 66, at 205. Prof. Litman identifies several different aspects of the public domain, including "old" works that are commonly understood to constitute the public domain because their copyright has lapsed. Yet, she characterizes such aspects of the public domain as "the least significant portion," turning instead to unprotected aspects of otherwise protected works, as discussed in part III D, infra. Litman, supra note 2, at 975-77. Prof. Patterson and Prof. (of English) Lindberg credit the original Statute of Anne with first creating a public domain, by establishing a duration for copyright protection. Patterson & Lindberg, supra note 23, at 29 (1991). [FN72]. See note 178, infra. [FN73]. U.S. Const., art. 1, § 8. When the Constitution was written, however, it was already established in England that common law copyright would protect works in perpetuity if they were not published, and it was early established that the result was the same in this country. See Donaldson v. Beckett, 2 Bro. P.C. 129, 1 Eng.Rep. 837, 4 Burr. 2408, 98 Eng. Rep. 257 (H.L. 1774); Wheaton v. Peters, 33 U.S. (8 Pet.) 591 (1834). Cf. Goldstein v. California, 412 U.S. 546, 560-61 (1972) (limited times provision does not apply to states). Since the "right of first publication" was regarded as state law, the limited times provision did not limit the duration of unpublished works. It was only in 1976 that federal law was expanded generally to cover unpublished as well as published works. It therefore might be argued that the limited times provision, as interpreted by the original founders, should only be applied to published works, since the right of first publication was historically recognized to extend in perpetuity. [FN74]. See, e.g., Kaplan, supra note 7, at 114-15; Stephen Breyer, The Uneasy Case for Copyright: A Study of Copyright in Books, Photocopies, and Computer Programs, 84 Harv.L.Rev. 281, 323 (1970) (emphasizing economic arguments). [I]t is by no means the fact that a posthumous monopoly of sixty years, gives to an author thrice as much pleasure and thrice as strong a motive as a posthumous monopoly of twenty years. On the contrary, the difference is so small as to be hardly perceptible. We all know how faintly we are affected by the prospect of very distant advantages, even when they are advantages which we may reasonably hope that we shall ourselves enjoy. But an advantage that is to be enjoyed more than half a century after we are dead, by somebody, we know not by whom, perhaps by somebody unborn, by somebody utterly unconnected with us, is really no motive to action. Thomas Babington Macauley, 1 Speeches 392-393 (1858). For a general discussion of the short economic life of most copyrighted works, see Zechariah Chafee, Jr., Reflections on the Law of Copyright: II, 45 Colum.L.Rev. 719, 720-721 (1945). Cf. John M. Maguire, Capitalization of Periodical Payments by Gift, 34 Harv.L.Rev. 20, 40 (1920). [FN76]. The Copyright Office recently announced that it is even considering an extension of copyright to life plus 70 years, in keeping with international copyright suggestions. See 46 BNA's PTCJ 293, 304 (Aug. 5, 1993). [FN77]. I have found hardly any authors who have argued for an expansion of copyright formalities. But cf. H.R.Rep. No. 94-1476, 94th Cong., 2d Sess., at 143, 5 U.S. Code, Cong, & Admin. News 5669, 5759 (1976) [hereinafter "1976 House Report"] (identifying four "principal functions" served by the notice requirement). See generally Vincent A. Doyle et al., Notice of Copyright, Copyright Law Revision, Study No. 7, (1957) reprinted in 1 Studies on Copyright 229 (1963) [hereafter "Doyle"] (reciting the history and policy of the notice requirement, and advocating that it be eliminated). Is it possible that, without any prerequisites or conditions of protection, copyright comes closer to a "natural" right? See part IV, infra. [FN78]. See part III B 1, infra. [FN79]. The classic case is King v. Mister Maestro, Inc., 224 F.Supp. 101 (S.D.N.Y. 1963), which held that Martin Luther King's "I Have a Dream" speech was protected as a "limited publication" despite the fact that copies were distributed to reporters without copyright notice and the speech was broadcast nationally by radio and television. [FN80]. I refer to the long-range "kicking and screaming." Between 1924 and 1976, Congress seriously considered numerous bills that would have eliminated or modified the notice requirements, all of which were defeated. See Doyle, supra note 77, at 263-72. Despite other amendments designed to ease our entry into the Berne Union, the proposal to eliminate the notice requirement was again defeated in 1976. However, the final elimination of the notice requirements in 1988 seems to have taken place with remarkably little hysteria, or even publicity. My suspicion is that most of those interested in copyright law realize that the continued voluntary use of copyright notice is to be desired by copyright owners and users alike, and prefer to publicize the advisability of notice rather than suggest that it ever be omitted. [FN81]. Act of May 31, 1790, ch. 15, 1 Stat. 124 §§ 3-4. See generally Wheaton v. Peters, 33 U.S. (8 Pet.) 591 (1834). [FN82]. It had been clear since 1939 that the 1909 requirement that copyright owners "promptly" deposit copies of their works did not mean what it said. Washingtonian Pub. Co., Inc. v. Pearson, 306 U.S. 30 (1939). The 1976 Act specifically provided that failure to comply with the deposit and registration requirements did not place a work in the public domain. 17 U.S.C. §§ 407, 408 (1976). Registration is still required of domestic authors before they may bring suit to enforce a copyright. 17 U.S.C. § 411 (1988). [FN83]. The 1909 Act had required publication with notice as a prerequisite to federal protection. 17 U.S.C. § 10 (1909). The 1976 Act eliminated the requirement of publication, covering works from creation when they were "fixed in any tangible medium of expression," 17 U.S.C. § 102(a) (1976). The notice was separately required, however, if and when the work was published, under section 401 of the 1976 Act. [FN84]. The lack of notice would "not invalidate the copyright" if any of the three conditions were met--presumably giving statutory recognition to the fact that the copyright would be "invalidated" if one of the exceptions did not apply. The exceptions were (1) for notice omitted "from no more than a relatively small number of copies or phonorecords distributed to the public;" (2) for works where registration was made within five years after publication; and (3) for works in which the notice was omitted "in violation of an express requirement in writing that, as a condition of the copyright owner's authorization of the public distribution of copies or phonorecords, they bear the prescribed notice." 17 U.S.C. § 405(a). Section 405(b) provided some protection for "innocent" infringers who were misled by the lack of notice in a situation covered by subsection (a). Each of these exceptions obviously raised many questions of interpretation. For example, how many was "a relatively small number of copies" from which omission would not defeat the copyright? Perhaps the most important and mysterious exception, however, was the one that applied if registration for the work were made within five years after the publication without notice. Whereas the work under prior law would have been thrust immediately and irrevocably into the public domain, the effect of this exception was to forestall that result for five years. During the five year period, the work was not in the public domain, but in a sort of limbo, presumptively destined for the public domain unless the copyright owner undertook positive steps to "retrieve" it. The "innocent infringer" status of section 405(b) was also particularly mysterious in this context. How could an infringer be "innocent," or act "in reliance upon an authorized copy or phonorecord from which the copyright notice has been omitted," or "be misled by the omission of notice," if it was clear that omission of notice did not yet thrust the work into the public domain? Did the infringer have to make at least some effort to determine from the copyright owner, if it was known who that was, what the copyright owner's intentions were? If not, the section would seem to reward infringers who consciously avoided diligent inquiry--arguably not "innocent" infringers at all. Or was the section primarily designed to protect infringers who were actually unable to determine the true copyright owner precisely because there was no notice? See also note 97, infra, citing cases that distinguished between intentional and inadvertent omissions in applying section 405. Although the mechanics of innocent infringement were far from clear, the whole mechanism for resolving disputes in the case of innocent infringers represented a considerable departure from previous law. Instead of treating the copyright as wholly intact or wholly forfeited, the statute set forth a mechanism for protecting individual infringers who were misled by absence of notice, while protecting the copyright owner against the rest of the world. For at least a five year period, the procrustean punishment for omitting notice from published works was held in abeyance. [FN85]. Berne Convention Implementation Act of 1988, Pub.L. 100-568, § 7, 102 Stat. 2853, amending 17 U.S.C. § 401-06. [FN86]. 17 U.S.C. § 24 (1909). At least one of the stated purposes for retaining the renewal system was to provide that many works should enter the public domain. One study found that only 9.5% of works registered in 1927 were renewed in their twenty-eighth year. James J. Guinan, Jr., Duration of Copyright, Copyright Law Revision, Study No. 30, App. B, p. 82 (1957), reprinted in 1 Studies on Copyright 473, 500 (1963). [FN87]. The dual term of copyright was replaced by a single term, generally for the life of the author plus fifty years, or in some cases for 75 years. The renewal system was retained only for works created prior to January 1, 1978, 17 U.S.C. § 304(a), and was prospectively replaced by an awkward termination right beginning in the 35th year after any grant of rights under copyright, 17 U.S.C. § 203 (1976). The termination provision affects the grant of copyrights to specific individuals, but does not affect the validity of the copyright in toto, as did the old renewal provisions. [FN88]. Copyright Amendments Act of 1992, Pub.L. 102-307, 106 Stat. 264 (June 26, 1992). [FN89]. The manufacturing clause was first added to the copyright law in 1891 when foreign authors were granted the right to American copyright, and was retained in section 16 of the 1909 Act. It was not clear whether failure to comply with the manufacturing clause resulted in forfeiture of copyright or some less drastic outcome. Cf. 1976 House Report, supra note 77, at 164 with Bentley v. Tibbals, 223 Fed. 247 (2d Cir.1915); Meccano, Ltd. v. Wagner, 234 Fed. 912 (S.D.Ohio 1916), mod'd on other grounds, 246 Fed. 603 (6th Cir.1917); 28 Op. Att'y Gen. 150, 155 (1910). The provision was retained over considerable objection in section 601 of the 1976 Act. By the terms of that Act, however, it was specifically provided that violation of the provision did not "invalidate" the copyright, and the entire provision was supposed to be phased out on July 1, 1982. In a move that surprised many observers, Congress extended the manufacturing provision until 1986, see 27 BNA's PTCJ 176-79, 275- 89 (1982), at which time it was finally allowed to lapse. [FN90]. American authors must still register their works in order to bring suit under section 411, and there are other incentives for registration, such as the availability of statutory damages or attorney's fees under section 412, but a work no longer goes into the public domain as a result of failure to comply with statutory formalities. [FN91]. The statement is obviously an oversimplification. Even with an apparently correct notice, the copyright might end up defective because copyright was claimed in the wrong name, or the publication date was incorrectly given, or the work was not original, or any number of other errors existed in the notice or in the qualification of the work for copyright. [FN92]. This statement is also an oversimplification. Many of the cases focused upon whether a copy that omitted notice was in fact published, or whether the publication was in fact authorized by the copyright owner. If the work was not published, or was published without permission, the lack of notice did not forfeit copyright protection. See King v. Mister Maestro, Inc., 224 F.Supp. 101 (S.D.N.Y. 1963). [FN93]. See note 84, supra. [FN94]. Under section 401, if notice of copyright is affixed, "then no weight shall be given to such a defendant's interposition of a defense based on innocent infringement in mitigation of actual or statutory damages." 17 U.S.C. § 401(d). "Innocent infringement" is thus not a defense to a copyright suit, but only to be considered in determining damages. [FN96]. See also part IV, infra, identifying other ways in which the theoretical underpinnings may be affected by the change in copyright over the years. [FN97]. Cases split on whether intentional omission of notice could be cured under the 1976 Act. Compare Beacon Looms, Inc. v. S. Lichtenberg & Co., Inc., 552 F.Supp. 1305 (S.D.N.Y. 1982) (deliberate omission of notice not curable under section 405) with Hasbro Bradley, Inc. v. Sparkle Toys, Inc., 780 F.2d 189 (2d Cir.1985) (deliberate omission is curable); 1976 House Report, supra note 77 at -- (same). The term computer shareware is accorded its customary meaning within the software industry. In general, shareware is copyrighted software which is distributed with relatively few restrictions for the purpose of testing and review, subject to the condition that payment to the copyright owner is required after a person who has secured a copy decides to use the software. 37 C.F.R. § 201.26(b) (amended September 23, 1991). [FN99]. Programmers frequently state conditions; for example, that the program may be used freely so long as certain documentation is included, or it is distributed free of charge, or no changes are made. Such conditions are also sometimes placed upon works that are ostensibly donated to the public domain, but obviously conditions are inconsistent with dedication to the public domain. [FN100]. Computer Software Rental Amendments Act of 1990, Pub.L. 101-650, 104 Stat. 5089, 5134. Unfortunately, the provisions have not been codified in title 17. [FN102]. 37 C.F.R. Part 201 (1991). [FN103]. The lack of sophistication was evident in some of the pre-1988 instances in which a programmer asked for a shareware fee, but did not use the copyright notice. Since the work without a copyright notice was placed into the public domain, any requests for fees was nothing more than a request. Although notice is no longer required, the Copyright Office rules make clear that anyone claiming shareware rights must also be claiming copyright, if they expect to enforce their shareware rights, and should register the work as a copyrighted work in addition to registering the work in the shareware registry. Id. [FN104]. See, e.g., Rexnord, Inc. v. Modern Handling Systems, Inc., 379 F.Supp. 1190, 1199 (D.Del. 1974); Schuchart & Assoc. v. Solo Serve Corp., 220 U.S.P.Q. 170, 183, 1983 WL 1147 at 39 (W.D.Tex. 1983). See generally the numerous case summaries and citations gathered in the Cumulative Digests of U.S.P.Q., under Copyrights § 24.05 - Abandonment. The cases almost all involve failure to comply with formalities, so that most of what is said about voluntary abandonment of copyright is arguably dictum. See, e.g., the "Desiderata" case, Bell v. Combined Registry Co., 397 F.Supp. 1241 (N.D.Ill. 1975), aff'd, 536 F.2d 164, cert. denied, 429 U.S. 1001 (1976) in which it was held that Max Ehrman had forfeited his copyright through publication without notice, and abandoned the copyright by authorizing others to use it without limitation (as a "gift" to the world). [FN105]. For example, in preserving a termination right under section 203 of the Act, Congress granted copyright owners a "second bite of the apple" that is unlike any other property right: the inalienable right to terminate a previous grant of copyright voluntarily entered into. [FN106]. Under section 201(d), "The ownership of a copyright may be transferred in whole or in part by any means of conveyance or by operation of law, and may be bequeathed by will or pass as personal property by the applicable laws of intestate succession." In the case of an inter vivos transfer, the state law of contracts would apply, so that a transfer would not normally be enforced unless there were consideration or a modern substitute. One might argue that a conveyance to the public should require at least the same pre-requisite to make it a "binding contract." However, how would the "public" pay the consideration necessary to enforce a contract? Perhaps consideration theory, or a contract analogy, won't work in the case of the public domain. But see the discussion of reliance theory in the following text, infra. [FN107]. Section 205 also protects transferees of copyrights against earlier transfers unless there has been a recordation of the earlier transfer in the copyright office. It might be argued that a voluntary abandonment of a copyright should require no less than such a recording in the copyright office. However, such a rule would probably be impractical, since an author who intends to dedicate a work to the public domain may send a copy to the Library of Congress, but need not do so, and should not be required to do so. Whereas a transferee of a copyright would have considerable incentive to comply with the recording described in section 205, there may be no particular person in the public at large who would be similarly motivated to record an abandonment of copyright. [FN108]. The major public domain analysis for works categorically excluded from copyright has arisen in the context of preemption of alternative state theories of recovery. This aspect of the topic will be considered in part III E, infra. [FN109]. 17 U.S.C. § 105. [FN110]. The courts have consistently held official governmental works, even beyond the scope of section 105, outside the scope of copyright protection. See generally Howard B. Abrams, 1 Law of Copyright § 2.05[A] (1991) [hereinafter "Abrams"]. [FN111]. See generally id. § 2.05[B]. [FN112]. The Sound Recording Amendment of 1971 provided that it applied only to sound recordings created after February 15, 1972. See Pub.L. 92-140, 85 Stat. 391 (1971); Goldstein v. California, 412 U.S. 546, 552 (1973). [FN113]. Some older cases held that copyright should not be extended to obscene works. See Martinetti v. Maguire, 16 F.Cas. 920, No. 9173 (C.C.Cal. 1867); Barnes v. Miner, 122 Fed. 480 (S.D.N.Y. 1903); 41 Op. Att'y Gen. No. 73, 121 U.S.P.Q. 329 (1958). The doctrine seems to have been abandoned in recent years. See Mitchell Bros. Film Group v. Cinema Adult Theater, 604 F.2d 852 (5th Cir.1979), cert. denied, 445 U.S. 917 (1980); Jartech, Inc. v. Clancy, 666 F.2d 403 (9th Cir.1982). [FN114]. The eight categories of works listed in section 102 are not limiting, since they are introduced by the words "Works of authorship include . . . . ," and section 101 defines "including" to be "illustrative and not limitative." Nevertheless, some definitions of the eight categories are bound to create exclusions. For example, the definition of "pictorial, graphic, and sculptural works" excludes the "mechanical or utilitarian aspects" of useful articles. 17 U.S.C. § 101. [FN115]. Act of May 31, 1790, 1 Stat. 124. [FN116]. Act of April 29, 1802, 2 Stat. 171. [FN117]. Act of Feb. 3, 1831, 4 Stat. 436. [FN119]. Act of Aug. 18, 1856, 11 Stat. 138. [FN120]. Act of March 3, 1865, 13 Stat. 540. [FN122]. Act of July 8, 1870, ch. 230, 16 Stat. 198, 212. [FN123]. Act of March 4, 1909, 35 Stat. pt. 3, 1075. [FN125]. Pub.L. 92-140, 85 Stat. 391 (1971). [FN126]. Pub.L. 94-553, 90 Stat. 2541, 2545 (1976). [FN127]. Registrations for computer programs were accepted by the Register of Copyrights as early as 1964, see George D. Cary, Copyright Registration and Computer Programs, 11 Bull. Copyr. Soc'y 362 (1964), and the statute was amended in 1980 to make clear that "literary works" included computer programs. Pub.L. 96-517, 94 Stat. 3015, 3028 (1980). [FN128]. Pub.L. 101-650, 104 Stat. 5089, 5133 (1990). [FN129]. To be sure, there are some "categories" of works that are still excluded from federal protection, but these are generally aspects of works--ideas, titles, characters, or typeface--that are simply not covered by the scope of federal protection. I will discuss these categories in section III D, infra. Works not fixed in a tangible medium clearly do not qualify for federal protection, but they do not go into the public domain to the extent that state law may protect them. [FN130]. Prof. Litman focuses upon "the realm" of the public domain comprising "aspects of copyrighted works that copyright does not protect," such as "ideas, methods, systems, facts, utilitarian objects, titles, themes, plots, scenes a faire, words, short phrases and idioms, literary characters, style, or works of the federal government." Litman, supra note 2, at 976, 992-93. Prof. Lange's concern is also with the proliferation of state theories of protection for works that might, to some extent, be protected under federal law. Lange, supra note 2, at 158. Just as in the previous section reviewing works categorically excluded from federal protection, the public domain issues frequently arise in the context of federal preemption of state law, which context will be analyzed in section III E, infra. [FN131]. This article has already outlined the expansion that has taken place in the addition of categories eligible for federal protection, see section III C, supra. There has also been an expansion in the scope of protection for works included within the federal statute. For example, the original 1790 law created only the exclusive rights to "print, reprint, publish or vend" any of the protected works. The exclusive rights of copyright have been expanded to include the right to prepare derivative works (including translations), to distribute copies by sale or rental, and, for most categories of works, to perform or display the work publicly. 17 U.S.C. § 106. Additionally, limited federal moral rights are now incorporated within the federal copyright law. 17 U.S.C. § 106A. [FN132]. Lange, supra note 2, at 157-58. [FN133]. Cf. William B. Carman, The Function of the Judge and Jury in the "Literary Property" Lawsuit, 42 Calif.L.Rev. 52, 57-59 (1954). Carman identifies a "public commons" in ideas, concepts, themes, scenes a faire, and other noncopyrightable aspects of otherwise copyrightable works. [FN134]. Krasilovsky, supra note 66, at 207, 208. [FN135]. The problem I perceive is much like the problem I have identified elsewhere in the characterization of the idea-expression dichotomy. See Idea- Expression Dichotomy, supra note 22, at 371-83. Although it is possible to think of "idea" as a category of works outside the copyright umbrella, the problem is that the idea-expression "dichotomy" is not and should not be an "all or nothing" proposition. Identification of a "public domain" implies that something is completely, arguably irretrievably, accessible to the public. Yet, in this context, what is required is a balancing test that weighs the extent to which a work is subject to protection or subject to public use--and it is copyright law that is the arena for weighing the various interests. Copyright is something of a congressional string holding back from free access on the open market certain protected writings--the string itself can't work, or shouldn't work, to push other writings into that market. Congress might well conclude that arts and sciences are promoted by encouraging free access to ideas; but such a conclusion would rest inherently upon its power over interstate commerce generally. Preemption, supra note 64, 24 Copyright Law Symposium at 59. [FN137]. Prof. Lange's primary concern is with the emerging new rights, and he sees that his analysis is conceptually related to preemption analysis. For example, Prof. Lange paid close attention to the "literature of preemption (where one would expect to find the public domain treated and where, indeed, it has had some useful development, particularly in the work of Professor Brown) . . . . " Lange, supra note 2, at 151 n.20. [FN138]. All of the standard treatises discuss preemption extensively. See, e.g., 1 Abrams, supra note 110, ch. 6; 2 Paul Goldstein, Copyright, ch. 15A (1989) [hereinafter "Goldstein"]; David Nimmer & Melville B. Nimmer, Nimmer on Copyright § 1.01 (1993) [hereinafter "Nimmer"]. See also Ralph S. Brown, Jr., Unification: A Cheerful Requiem for Common Law Copyright, 24 U.C.L.A.L.Rev. 1070 (1977); Paul Goldstein, Preempted State Doctrines, Involuntary Transfers and Compulsory Licenses: Testing the Limits of Copyright, 24 U.C.L.A.L.Rev. 1107 (1977); Howard B. Abrams, Copyright, Misappropriation, and Preemption: Constitutional and Statutory Limits of State Law Protection, 1983 Sup.Ct.Rev. 509. The outlines of the area are extensively (if not clearly) delineated by a number of Supreme Court cases in the field: Sears, Roebuck & Co. v. Stiffel Co., 376 U.S. 225 (1964) (patent); Compco Corp. v. Day-Brite Lighting, Inc., 376 U.S. 234 (1964) (patent); Goldstein v. California, 412 U.S. 546 (1973) (copyright); Kewanee Oil Co. v. Bicron Corp., 416 U.S. 470 (1974) (trade secret); Aronson v. Quick Point Pencil Co., 440 U.S. 257 (1979) (contract); and Bonito Boats, Inc. v. Thunder Craft Boats, Inc., 489 U.S. 141 (1989) (works of utility). [FN139]. Sears, Roebuck & Co. v. Stiffel Co., 376 U.S. 225, rehearing denied, 376 U.S. 973 (1964); Compco Corp. v. Day-Brite Lighting, Inc., 376 U.S. 234, rehearing denied, 377 U.S. 913 (1964). [FN140]. Indeed, Goldstein speaks in terms of a constitutional presumption against preemption. Goldstein v. California, 412 U.S. 546, 567- 70; Preemption, supra note 64, at 964. [FN141]. Of course, the Goldstein case involved a category of works that the Court found Congress had left "unattended." If Congress had specifically provided that a category of works, within its constitutional power to regulate, should be left to the public domain, the outcome might be to honor such a specific Congressional determination. But such an outcome would of course be based upon Congressional jurisdiction to regulate, a specific determination by Congress to do so, and an analysis of the preemptive effect of that determination: no additional insight would be gained by adding the rubric of "public domain" to the analysis. See generally Preemption, supra note 64. [FN142]. 17 U.S.C. § 301(a). Bracketed numbers are added to emphasize the two-part nature of the test, the second part of which codifies the Goldstein "categorical" approach. [FN143]. 17 U.S.C. § 301(b). The first part corresponds to the Goldstein categorical approach. [FN144]. Also of obvious relevance is the nature of the state law that is being tested by preemption analysis--a concern not suggested by characterizing the issue in terms of "the public domain." [FN145]. To be sure, Bonito Boats might represent a retreat from the Court's more liberal attitude of Goldstein, Kewanee, and Aronson. See, e.g., the cautionary tone of Prof. Abrams in Abrams, supra note 110, § 6.02[C] at 6-24 to 6-29. Yet, Bonito Boats was a patent/industrial design case that fit more squarely within the Sears-Compco setting than does a typical preemption case under copyright law. In any event, my purpose here is not to debate or resolve the difficult issues raised by preemption analysis, but simply to point out that the analysis is better served by the textured, traditional approach, and is not measurably assisted by any concept of "the public domain." [FN146]. The courts have held that design patent protection is not a bar to copyright protection. In re Yardley, 493 F.2d 1389 (C.C.P.A. 1974). The copyright office, however, will not register a claim of copyright for a work that has been granted a design patent. 37 C.F.R. § 202.10(a) (1989). [FN147]. See, e.g., note 43, supra. [FN148]. The statutes should be construed to be in harmony, if possible. If that is not possible, the more recent enactment theoretically prevails. See 2B Sutherland Stat. Const. § 51.02 (5th ed., Norman J. Singer 1992) [hereinafter "Sutherland"]. [FN149]. Indeed, the phrase "public domain" is not defined in the 1976 or earlier copyright acts, and is not even used in those acts except in describing the effect of new statutes on previously unprotected works. In the 1976 Act, the uncodified transitional and supplementary provisions state that "This Act does not provide copyright protection for any work that goes into the public domain before January 1, 1978." Pub.L. 94-553, § 103, 90 Stat. 2541, 2599 (1976). The obvious purpose of the provision is not to codify any "theory of the public domain," but simply to keep the provisions of the 1976 Act from having retroactive effect on preexisting works. Similar language, with a similar purpose, was found in the 1909 Act: "[N]o copyright shall subsist in the original text of any work which is in the public domain, or in any work which was published in this country or any foreign country prior to the going into effect of this Act and has not been already copyrighted in the United States . . . ." Act of March 4, 1909, § 7, 35 Stat., pt. 3, 1075, 1077 (later recodified as 17 U.S.C. § 8, now superseded). A similar reference to non-retroactivity, to avoid resurrecting works previously in the public domain, can be found in the Berne Convention Implementation Act: "Title 17, United States Code, as amended by this Act, does not provide copyright protection for any work that is in the public domain in the United States." Pub.L. 100-568, § 12, 102 Stat. 2853, 2860 (1988). Congress can make a copyright statute nonretroactive without using language invoking the public domain. For example, the Sound Recording Amendment of 1971 was specifically made nonretroactive by stating that it did not apply to sound recordings fixed before February 15, 1972, leaving protection, if any, to state law. 17 U.S.C. § 301(c). And the amendment adding architectural works to the categories of protected works was made to apply generally only to such works created after 1992. Pub.L. 101-650 § 706, 104 Stat. 5089, 5134 (1990). Interestingly, in the case of architectural works, protection was also extended to "any architectural work that, on the date of the enactment of this Act, is unconstructed and embodied in unpublished plans or drawings," id., even though publication and construction are generally not the important dates for determining federal protection. [FN150]. Cf. 17 U.S.C. § 304(a), which in 1976 retained verbatim the awkward language of the earlier renewal provisions of the 1909 Act. Congress determined at the time that public policy favored leaving the existing law on renewals unchanged for previously published works. "A great many of the present expectancies in these cases are the subject of existing contracts, and it would be unfair and immensely confusing to cut off or alter these interests." 1976 House Report, supra note 77, at 139 (1976). [FN151]. Nimmer states that an extension of copyright duration for existing works "may arguably" exceed Congress' power, and that "it seems clear that the Copyright Clause would not permit the granting of copyright to works which have theretofore entered the public domain." Nimmer, supra note 138 §§ 1.05[A] & , 1.10[C], 2.03[G]. See also H.R.Rep. No. 1476, 94th Cong., 2d Sess. 180 (1976) and S.Rep. No. 473, 94th Cong., 1st Sess. 159 (1975) ("[T]here can be no protection for any work that has fallen into the public domain . . .)." [FN152]. U.S. Const., art. 1, § 8, cl. 8. [FN153]. The term of existing copyrights was extended to 75 years. 17 U.S.C. § 304. In prior years, anticipating the new copyright act, Congress granted several extensions of term for works that otherwise would have expired at the end of their 56th year. See Pub.L. 87-668, 76 Stat. 555 (1962) (extending existing renewal terms through 1965); Pub.L. 89-142, 79 Stat. 581 (1965); Pub.L. 90-141, 81 Stat. 464 (1967); Pub.L. 90-416, 82 Stat. 397 (1968); Pub.L. 91-147, 83 Stat. 360 (1969); Pub.L. 91-555, 84 Stat. 1441 (1970); Pub.L. 92-170, 85 Stat. 490 (1971); Pub.L. 92-566, 86 Stat. 1181 (1972); Pub.L. 95-573, 88 Stat. 1873 (1974) (extending existing renewal terms through 1976, when the new act became effective). [FN154]. 17 U.S.C. § 106(5), adding the right of public display to the exclusive rights of copyright. The new act appears to extend the display right even to existing works, since there is nothing in the transition provisions or in section 106(5) indicating that it applies only to works created after the new act went into effect. [FN155]. Under 17 U.S.C. § 106(4), the exclusive right of public performance was not limited by the words "for profit," as had been the case for musical works under the 1909 copyright act, 17 U.S.C. § 1(e) (now superseded). Some of the limitations of 17 U.S.C. § 110, however, immunized from copyright liability some of the same types of activities that had been protected by the for profit language of the 1909 act. See 17 U.S.C. § 110(1)-(7), (10). [FN156]. 17 U.S.C. § 111. [FN157]. Visual Artists Rights Act of 1990, Pub.L. 101-650, 104 Stat. 5128 (1990), adding 17 U.S.C. § 106A. The moral rights created by the new act apply to "works created before the effective date set forth in subsection (a) [6 months after the date of the enactment of this Act] but title to which has not, as of such effective date, been transferred from the author." Id. § 610. In other words, so long as a work was still owned by the author, the moral right was granted to a preexisting work. [FN158]. See note 149, supra. In one notable departure from its cautious practice, Congress did once specifically attempt to resurrect a work previously in the public domain, perhaps indicating its understanding that it had authority to do so. In 1971, Congress passed a law to grant particular copyright protection to the work "Science and Health With Key to the Scriptures," by Mary Baker Eddy. Private Law 92-60, 85 Stat. 857 (1971). This grant was interpreted to cover sixteen editions that had gone into the public domain between 1875 and 1906. See United Christian Scientists v. Christian Science Bd. of Dirs., 616 F.Supp. 476 (D.D.C. 1985), aff'd, 829 F.2d 1152 (D.C.Cir.1987). The courts held the statute unconstitutional, but on the ground that it violated the establishment clause, not because of its retroactivity. Id. It might also be argued that the extension of existing terms of copyright represents a Congressional determination that it is constitutional to alter previous rights created by copyright. For example, when Congress extended existing copyright terms by nineteen years in 1976, 17 U.S.C. § 304, it may well have upset expectations--arguably property right expectations--of copyright owners and users, particularly assignees and licensees who may have thought they would have rights in perpetuity (exclusive or non-exclusive rights for the duration of the copyright, as determined by their contract, and non- exclusive rights after 56 years when it would be expected that the work would go into the public domain). The rights of the "public" in public domain works are arguably no more compelling, and perhaps less compelling, than the rights of assignees and licensees who have usually paid for their rights based upon the duration of the rights conveyed. [FN159]. Berne Convention for the Protection of Literary and Artistic Works, Paris Text 1971, Article 18(1). Article 18(2) provides: "If, however, through the expiry of the term of protection which was previously granted, a work has fallen into the public domain of the country where protection is claimed, that work shall not be protected anew." This section would appear to authorize non-retroactivity for works that went into the public domain in the United States because the term of copyright had expired, but it is not clear what effect the section should have for works that went into the public domain because of a failure to comply with formalities or for other reasons. The principle is further complicated by Article 18(3), which states that, to the extent the matter is not subject to any provisions contained in special conventions, "the respective countries shall determine, each in so far as it is concerned, the conditions of application of this principle." The Berne treatment of retroactivity is to be distinguished from that of the Universal Copyright Convention, which provides that it "shall not apply to works or rights in works which, at the effective date of this Convention in a Contracting State where protection is claimed, are permanently in the public domain in the said Contracting State." Universal Copyright Convention, Article VII. [FN160]. Final Report of the Ad Hoc Working Group on U.S. Adherence to the Berne Convention 75, republished in 10 Columbia-VLA Journal of Law & the Arts 511, 587 (1986). The Report contains perhaps the best discussion of the retroactivity issue. [FN162]. Neither the statute nor the Senate Report state whether the treatment of retroactivity was ultimately decided on policy grounds, or under some sense of constitutional compulsion. See Senate Report No. 100-352, 100th Cong., 2d Sess., at 48, 6 U.S. Code Cong. & Admin. News 3706, 3746 (1988). [T]he following works will remain in the public domain in the U.S. even if still protected in their "home" Berne country: published works from countries that did not share copyright relations with the U.S.; pre-1961 foreign works that have not been formally "renewed" for copyright purposes in the United States; works first published or subsequently distributed in the United States without copyright notice before January 1, 1978; works first published without notice outside of the United States between June 18, 1959 (and perhaps earlier) and January 1, 1978; works published without notice outside of (or within) the United States on or after January 1, 1978 for which curative steps are no longer possible; and some foreign artwork, periodicals, and books manufactured outside the United States in violation of the domestic manufacturing requirements of pre-UCC U.S. copyright law. Jon A. Baumgarten & Christopher A. Meyer, Effects of U.S. Adherence to the Berne Convention 8-9, in The U.S. Copyright Office Speaks (Jon A. Baumgarten, E. Gabriel Perle, co-chairs, 1989) 11-12 (emphasis in original, footnotes omitted). The most obvious kind of retroactive statute is one which reaches back to attach new legal rights and duties to already completed transactions. However, a statute may be retrospective even if it does not purport to have effect prior to its enactment; this is true, for example, of a statute which declares preexisting obligations unenforceable in the future. Charles B. Hochman, The Supreme Court and the Constitutionality of Retroactive Legislation, 73 Harv.L.Rev. 692 (1960), excerpted in 2 Sutherland, supra note 148, Legal Commentary 771 (concluding, however, that there is no legal distinction between the two types of retroactivity). [FN164]. "Mere retroactivity is not alone sufficient, however, to make a statute invalid. . . . The federal constitution does not expressly prohibit the enactment of all retroactive laws." 2 Sutherland, supra note 148 § 41.03 at 344. [FN165]. "Although this prohibition [forbidding the states to pass laws impairing the obligation of contracts] applies in terms only to the states, the same substantive limitation has been held applicable to Congress through the due process clause of the Fifth Amendment." 2 Sutherland, supra note 148 § 41.03 at 355. In dealing with the problem of retroactivity, it is extremely difficult to establish definite criteria upon which court decisions can be foretold. . . . It is misleading to use the terms "retrospective" and "retroactive," as has sometimes been done, to mean that the act is unconstitutional. The question of validity rests on further subtle judgments concerning the fairness of applying the new statute. Even where a constitution explicitly and unqualifiedly prohibits the enactment of retrospective statutes, the courts usually strike down only those statutes whose retroactivity results in measurable unfairness. 2 Sutherland, supra note 148 § 41.05 at 368. The problem is thorny; although the United States is not unambiguously out of compliance with this provision of the Convention, we would be on firmer ground had Congress chosen to attempt at least token resurrection of some Berne Convention works. [FN168]. Even in this case, changes in the value of existing copyrights are not necessarily unconstitutional. In extending the term of copyright, and making the extended term subject to termination under § 304(c), existing "property" rights were altered; and in clarifying or creating limitations that might prospectively affect existing copyrights (for example, in the cable compulsory license), such rights are altered. Some effect on vested rights is practically unavoidable in new legislation. [FN169]. Of course, such a statement is tautological. Most of the numerous attempts at definition are essentially circuitous in nature, as in the pronouncement that "a vested right . . . implies an interest which it is proper for the state to recognize and protect . . . "
2 Sutherland, supra note 148 § 41.06 at 379. A "theory of the public domain" could of course be proposed that would treat as property rights the rights of the public in public domain works. See generally Gordon, supra note 47, at 1539, 1559, 1608. All I am suggesting here is that the policy considerations are not so clear that we should bind the hands of Congress, in advance, in all possible circumstances, to protect public domain works. The serious consideration given, during the Berne implementation discussion, to allowing Congress to resurrect works in the public domain in this country, at least if they were still the subject of protection in other countries, should suggest the advisability of retaining flexibility. [FN170]. At the very least, the rights of the "public" in public domain works are not as compelling in favor of individuals who have not yet made any specific payment or investment in reliance upon that status. Cf. the savings provisions of the 1976 Act, which protected "innocent infringers" who undertook activities in reliance on the absence of copyright notice, while still protecting the rights of copyright owners who fell within the protection of section 405. [FN171]. See text accompanying notes 13-22, supra. [FN172]. See text accompanying notes 3-12, supra, and supra note 137. [FN173]. Similarly, in section III, supra, I noted the different categories of works that might be considered in the public domain, and the fact that the justifications for the different categories were sufficiently different to undermine any general public domain theory. The purposes of copyright formalities (which have been virtually eliminated) are totally different from the purposes for a limited times provision or for preempting state protection of works that might be excluded from federal protection. [FN174]. Congress and the courts seem to have rejected natural rights arguments as a basis for American copyright law. See, e.g., Wheaton v. Peters, 33 U.S. (8 Pet.) 591 (1834); H.R.Rep. No. 2222, 60th Cong. 2d Sess. 7 (1909). Yet, natural rights theories are not irrelevant. The fact that Congress and the courts have expressly rejected natural rights theory as the premise for copyright protection in the United States does not mean that natural rights enjoy no place in copyright law. The 1976 Copyright Act's special treatment of involuntary transfers of copyright, for example, and its provisions for termination of transfers can be better explained in terms of natural rights theory than in terms of a utilitarian balance of social benefit. 1 Goldstein, supra note 138 § 1.1, at 8-9 (1989). A less drastic alternative to the natural rights basis might be in what Prof. Brown somewhat disapprovingly refers to as the "exaltation of authorship" principle, as best exemplified by the former Register of Copyright, David Ladd. See Eligibility, supra note 12, at 589-92, citing David Ladd, The Harm of the Concept of Harm in Copyright, 30 J.Copyr. Soc'y 421 (1983) [hereinafter "Ladd"]. Ladd exalts the author, to be sure, but based primarily upon a property rights model for copyright analysis. [FN175]. Although not historically thought to be the basis for copyright protection in this country, the moral rights provisions adopted in 1988, 117 U.S.C. § 106A, confirm that moral rights are at least a part of the copyright equation. And to the extent that we have done away with copyright formalities, it is perhaps at least in part on the assumption, borrowed from the Berne tradition that we have consciously embraced, that copyrights are personal rights that should not be conditioned upon any formalities. [FN176]. Patterson and Lindberg identify the property rights theory as a "fiction" or "fallacy" that poses the "greatest threat to copyright policies." Patterson & Lindberg, supra note 23, at 141. Yet, copyright law has indeed been developed along a property rights basis, or by analogy to property rights law, and is so generally recognized under the rubric of "intellectual property." See, e.g., Report of the Register of Copyrights on the General Revision of the U.S. Copyright Law 3 (1961) [hereinafter "Register's Report"] ("Copyright is generally regarded as a form of property, but it is property of a unique kind."). Perhaps the best modern statement of copyright as a property right is contained in Ladd, supra note 174. Prof. Gordon uses a property rights analysis as a means of limiting the scope of intellectual property rights. See Gordon, supra note 47. [FN177]. Prof. Kaplan dwells upon the early forerunners of copyright law, the censorship laws and stationers' company practices, noting that "copyright has the look of being gradually secreted in the interstices of the censorship." Kaplan, supra note 7, at 4. The effect of the emphasis on the "first 350 years of copyright," id. at 1, probably intentionally, is to pull the rug out from under the grandiose claims otherwise made in the name of copyright. Patterson and Lindberg not only begin their analysis with the stationers' monopoly, but load the dice by claiming that the early history is particularly relevant in the case of copyright law, because "[t]ime has changed neither the function of copyright nor the evils of an unchecked monopoly" since copyright's "origins in sixteenth-century England." Patterson & Lindberg, supra note 23, at 6, 7. Sony Corp. of America v. Universal City Studios, 464 U.S. 417, 429 (1984). See also Twentieth Century Music Corp. v. Aiken, 422 U.S. 151, 156 (1975) ("[P]rivate motivation must ultimately serve the cause of promoting broad public availability of literature, music, and the other arts.") See also Register's Report, supra note 176; H.R.Rep. No. 2222, 60th Cong., 2d Sess. (1909). The justification is sometimes linked to the constitutional limitation that copyright laws are to promote the progress of arts and sciences. Nevertheless, this explanation cannot be the complete answer. For example, since copyright now protects unpublished works, which may never be published, copyright does not guarantee that all copyrighted works are to serve the public good. The principle can also not explain such features of copyright as the liberal allowance for injunctions, statutory damages, or termination rights. The principle is a statement of general justification for copyright laws, but does not limit the specific determination in all cases. Prof. Goldstein argues that the principle is "frequently misinterpreted." The point . . . is not that in close cases authors' property rights are to be subordinated to the interests of free public access to their works. The point, rather, is that property rights for authors are an "engine of free expression." 1 Goldstein, supra note 138, at 6. Goldstein concludes that the "utilitarian calculus of social benefit" does not explain all aspects of copyright law, particularly those that allow copyright owners "to capture the full value that consumers attach to their works and not just the minimum sum that they would require to support their investment." Id. at 7. [FN179]. See, e.g., Stephen Breyer, The Uneasy Case for Copyright: A Study of Copyright in Books, Photocopies, and Computer Programs, 84 Harv.L.Rev. 281 (1970) (answered in large part by Barry W. Tyerman, The Economic Rationale for Copyright Protection for Published Books: A Reply to Professor Breyer, 18 U.C.L.A.L.Rev. 1100 (1971), 210 Copyr.L.Symp. 1); Robert M. Hurt & Robert M. Schuchman, The Economic Rationale of Copyright, 56 Am.Econ.Rev. 421 (1966); Gordon, supra note 47. But, as concluded by Prof. Brown, the "lawyer-economists have been short on theory for copyright," although they "have been attentive to distinct, identifiable problems," such as photocopying and fair use. Eligibility, supra note 12, at 597. [FN180]. Some authors have imagined a conflict, or a potential conflict, between the copyright law and the first amendment. See, e.g., Paul Goldstein, Copyright and the First Amendment, 70 Colum.L.Rev. 983 (1970); Melville Nimmer, Does Copyright Abridge the First Amendment Guarantees of Free Speech and Press? 17 UCLA L.Rev. 1180 (1970); Robert C. Denicola, Copyright and Free Speech: Constitutional Limitations on the Protection of Expression, 67 Calif.L.Rev. 283 (1979); Patterson & Lindberg, supra note 23, at 128-33. The Supreme Court, however, has noted that, at least in some contexts, "copyright itself" might be "the engine of free expression." Harper & Row, Publishers, Inc. v. Nation Enters., 471 U.S. 539, 558 (1985). Similarly, copyright is not opposed to the federal "competitive mandate" that serves the public interests; rather, "[t]he operation of federal patent, copyright and trademark laws is assumed to advance the federal competitive mandate." Paul Goldstein, The Competitive Mandate: From Sears to Lear, 59 Calif.L.Rev. 873, 878 (1971). In other words, copyright law incorporates the balance of interests between the author and the public, and should not be subject to additional or external limitations from other areas of law. The central question that Congress needs to address is whether copyright shall be considered property or regulation. If Congress were to resolve the question, clear guidelines on the legality of the "private use" of copyrighted works might be possible. So far, however, Congress has not given a clear statement of the nature and purpose of copyright. . . . Ambiguities remain, however, about whether this and other exclusive rights are proprietary or regulatory in nature, and therefore, [sic] whether they apply to private use activities. OTA Report, supra note 26, at 192. Some of the optical phenomena so readily interpreted on the wave theory, such as reflection, refraction, interference, diffraction, and polarized light, offer difficulties when studied in terms of quanta. The laws of photoelectric phenomena, photoconductivity, and the spectrum, on the other hand, appear more readily understandable when studied in terms of quanta. 2 Van Nostrand's Scientific Encyclopedia (7th ed., Douglas M. Considine, ed. 1989) 1702 ("Light"). The law maker can profit from both these positions, opposed though they are. Droit d'auteur theory gives authors an advantage. They need one because they are so often confronted by giant users with more monopoly power than the copyright system gives the author. On the other hand, the rhetoric of rights can be cooled off by the cold bath of economic analysis. Especially valuable is the economist's skill in pursuing the hidden implications of a shift of resources. To tie in the original reference to Hofstadter's foreground/background analysis, Hofstadter ultimately implies that there is no foreground and background, but that they are two different ways of looking at the same thing. In Escher's paintings or in Bach's music, the foreground and background turn upon each other. He even claims that prime numbers are positively enough defined even by the negative method of eliminating nonprimes, so long as there is a method, even a recursive method, for producing the numbers in order. See Hofstadter, supra note 1, at 74, 149, 152. [FN184]. See, e.g., OTA Report, supra note 26, at 190-93 (describes the "constitutional bargain" that was early used to justify copyright law, and the eventual "transformation of the constitutional bargain" by the courts and Congress). The OTA Report seems to accept the Patterson view that the expansion of rights in the 1909 Act was "unwittingly and perhaps accidentally" achieved by a change of wording in the statute. Yet, Congress hardly evinced any interest in turning back the clock in the carefully considered 1976 Act, instead expanding the rights of authors even further. [FN185]. Cf. James M. Treece, American Law Analogues of the Author's "Moral Right," 16 Am.J.Comp. Law 487 (1968), concluding that American law, even in 1968, protected many of the interests associated with moral rights based protection. See also William Strauss, The Moral Right of the Author, Copyright Law Revision, Study No. 4 (1959), reprinted in 2 Studies on Copyright 963 (1963). [FN186]. Patterson and Lindberg derogatorily refer to such devices as "taxes." Patterson & Lindberg, supra note 23, at 158. [FN187]. The Federalist, No. XLIII 278, 279 (Modern Library ed. 1937) (emphasis added). This statement is basically the incentive or bargain basis for recognizing copyright as an incentive to authors to create. Cf. Harper & Row, Pubs., Inc. v. Nation Enterp., 471 U.S. 539, 558 (1985).